Fire wardens provide a vital element of any organisations fire defence system. Their duties are recognised under the 2005 Safety Health and Welfare at Work Act where Section 11 of the Act states that employers are required to prepare and revise adequate emergency plans and procedures and provide the necessary measures for fire-fighting and the evacuation of the workplace. Fire wardens are those staff members that would normally know the general layout of premises, the location and operation of fire-fighting /fire detection equipment such as fire extinguishers, hoses and break glass units (where fitted), along with the location of emergency exits. One of the key roles of the fire warden is the safe and speedy evacuation of their fellow employees and visitors to their place of business. ADSC Limited provides fire warden training courses for small, medium and large businesses and organisations on a nationwide basis throughout Ireland and public fire awareness training courses every working day (Monday to Friday excluding bank holidays), at our conveniently located premises in Baldoyle, Dublin 13. Our fire warden training course includes an overview of current fire safety legislation, techniques to assist in implementing and improving effective emergency procedures in your workplace, to help prevent emergencies by monitoring the adequacy of the fire risk control measures, to raise awareness with other staff about the fire hazards that exist in your workplace, detailed advice on how to instruct workers to respond in an emergency, and the development of fire drills and real evacuation procedures. The course is run by our highly experienced team of Fire Safety Consultants and Trainers who are operational Fire Fighters or Fire Safety Engineers. Our fire warden training course is approximately ½ day in duration. With up to 12 employees attending each Fire Awareness Training Course, all successful participants will receive the ADSC Fire Warden Certificate is valid for 3 years from date of issue. We would welcome the opportunity to submit a proposal concerning Fire Warden Training for your organisation. A Fire Warden is person designated with specific fire safety duties. These normally include before, during and after the evacuation process but also include pro active duties such as routine fire checks within the building outside of a fire drill or evacuation. How many Fire Wardens should there be? There is no set number in relation to Fire Wardens. There should be an adequate number available per floor, to sweep that floor quickly and efficiently. In selecting Fire Wardens it would make sense to select personnel who are largely office based and in position throughout the day. Also one would want to factor in additional numbers for contingency purposes to include fire wardens being out of position or absent for example. Who should normally undertake the Fire Warden role? Fire Wardens can be any member of staff but ideally they should be spread out evenly across the building covering all specific locations. What training should a Fire Warden have? Fire Wardens should receive specific certified Fire Warden Training. Fire Wardens should also be trained in Fire Awareness including extinguisher operation and use. Who can help provide a Fire Warden Training Course? 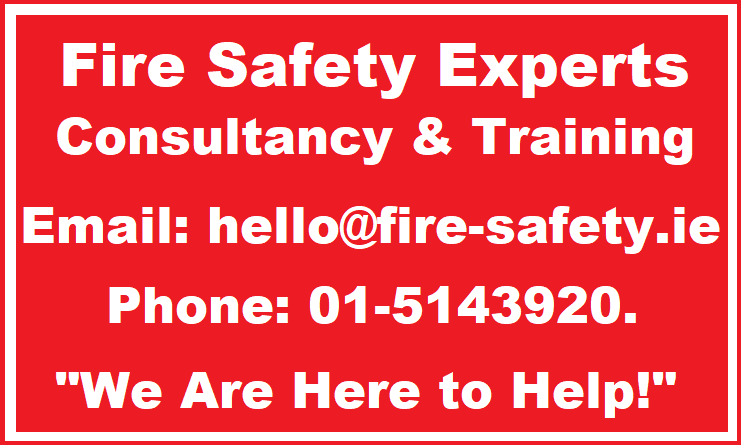 We at ADSC Ireland have vast experience conducting Fire Warden Training and would be delighted to provide a quote. To enable us provide you with a Fire Warden Training Course quote please provide the following information. If you require a public course at our offices in Baldoyle, please state so. Number of employees who require training. Entire website copyright © 2005-2019 ADSC Limited. Fire-Safety.ie. All rights reserved.